I’d like to start this post by thanking Ruth Logan Herne for inviting me on the Seekerville blog. This is a talented group of authors and I’m honored to be here today. I’ve had more than one reader ask me why I write what I write, and since I write romance, for the most part my answer is I write romance because I believe in the happily ever after. Over the past few years I’ve segued from writing sweet romance to the Christian/Inspirational genre. While on a trip to the Christian Fiction Readers Retreat last summer, my roommate Carrie Turansky asked me what brought me to the Christian market. The answer wasn’t as easy as I believe in the happily ever after. I still write about that in my books but woven into the story are elements of my characters’ faith journey. To this day I think about my grandmother and her words of wisdom. Her faith carried through to me. Her faith in love, her faith in family, her faith in God. When I write my stories and breath life into the characters, the people and worlds I create, I guess I’m weaving a bit of my life in each of those books. Over the past two years I’ve met a lot of very talented Christian authors who are leaps and bounds ahead of me when it comes to writing these types of books. 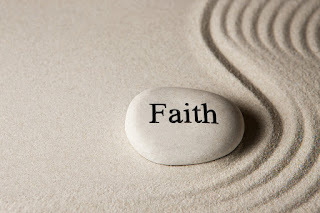 Every time I put my words on a page it is my hope that my faith grows stronger. Just as my characters are on a journey, l believe I am taking a journey along with my readers. Writing has always been a dream of mine. Over the past eighteen years I’ve been blessed with trusted friends, a wonderful agent who believes in me even when I don’t and a wealth of stories that keeps my mind busy. But the one thing that is a constant is my faith in God, family and the belief that I am doing what I was born to do; writing stories filled with love, and hope. Wishing you all many blessings. Thanks so much for taking the time to stop by Seekerville today. I’d love for you to share your thoughts on someone who was instrumental in guiding your faith. Please feel free to leave a comment in the comment section below. Ruthy note! 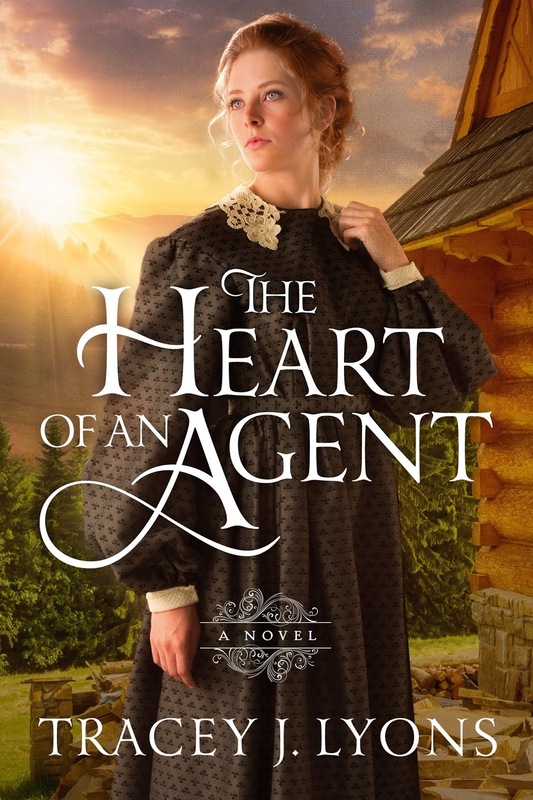 Tracey is giving away a copy of "The Heart of an Agent" to one lucky commenter today.... Leave a comment about someone who was instrumental in guiding your faith.... or maybe someone who inspired you to be who you are, or a better person... and we'll tuck your name into the drawing! Former Pinkerton spy Lily Handland has always dreamed of a quiet, safe life, free from chasing criminals and putting herself at risk. So when the opportunity to invest in a failing Great Camp in the Adirondacks comes to her attention, she quickly jumps at the chance. Filled with grief, widower Owen Murphy wants to run away from it all. Though he’s worked hard to forge a future for himself, his guilt has kept him mired in the past. But all that changes when a headstrong, mysterious woman shows up at Owen’s door. Together, as Lily and Owen restore the beauty of the Great Camp, he begins to finally see a future. But will learning about Lily’s past destroy it all? 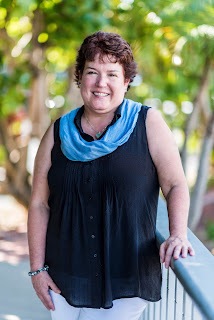 An Amazon Top Ten bestselling historical romance author of the Adirondack Pinkertons and the Women of Surprise series, Tracey was a 2017 National Excellence in Romance Fiction Award finalist. She sold her first book on 9/9/99! Her books have been translated into several languages and are available in print, digital and audio formats. A true upstate New Yorker, Tracey believes you should write what you know. Tracey considers herself a small- town gal who writes small town romances. Her next release, A Love for Lizzie, Harlequin Love Inspired will be out in 2019. Tracey, good morning and welcome to Seekerville! I love this post about inspiration and how it affects us. I love "Holy Spirit" nudges. Those little whispers that push us to re-examine our options... or go out of our way to be the hands and feet of Christ. When we bring that to our storytelling, the story unfolds from within. It becomes real. Tracey, I'm honored to host you. I brought coffee... and tea... and Panera mixed Danishes because I LOVE THEM!!!! Ruthy, it's a killer, isn't it, when we go to Panera to get a sandwich, and they offer us a 99-cent pastry!! How can I ever pass that up???? Thanks again for hosting me today!! You're so welcome! I was busy doing edits on a Christmas Western novella, then a meeting in the city, and then way too much money at B.J. 's (I miss my Sam's Club!!!).... and now I'm home! Missy... I love those danishes. Oh, honestly, I could embarrass myself and my family by how many of those I can wolf down. Good morning, Tracey. I have to admit, when I saw the title of your post I had notes of George Michael running through my head. Oh, but I love this post. I love it when people share their faith journeys. And I love your grandma for those things she instilled in you and your family. Thank you for opening up and sharing with us today. Thanks for stopping by. Yes, my grandmother was my inspiration. I quote her all the time! Now I'm going to be humming "You Gotta Have Faith" the rest of the night! Tracey, we're so glad to have you posting today! I felt some of the same fear as I accepted the fact I was writing inspirational romance. My first thought was: I'm not qualified to write that! But then I was encouraged by studying Moses in the ladies Bible study I was in at the time. I think the hardest thing for me is to keep my mind and heart open to my faith and God. I'm so happy to be able to write inspirational fiction. What a beautiful post, Tracey! I love that you were able to incorporate your faith into your stories, and I agree that it's a journey for the characters, and the readers as well. God bless! Great post, Tracey. The first name that comes to mind in someone who inspired my faith is my mom. I lost her two months ago, but her faith was evident as we planned her funeral and realized all the ways she had served the church. So many notes from people showed so many other ways she had touched them. It makes me want to spend the rest of my life trying to be like my mom. You are so lucky to have such good memories of your mom. I'm sorry for your loss. And having the notes from people is a wonderful way to remember your mom. Sandy, her faith was probably part of her most wonderful gift to you.... And I think you're already following in those treasured footsteps, sweet thing. This was a fantastic post, Tracey. My parents, grandparents and church were all fundamental in guiding my faith, but I'd have to say books played a large part as well. I remember reading The Cross and the Switchblade when i was jr. high age as well as The Hiding Place. Both of those made a big impact on me. Fiction, such as Christy and the Grace Livingston Hill books was also a big inspiration. There was never a point when I had to decide what I wanted to write. Christian romance has always been my favorite genre and someday I hope to inspire someone with my writing the way I was inspired by the books I read. Thanks for being in Seekerville today, Tracey. Cindy, I think I read every Grace Livingston Hill book! You know I started out reading everything, mystery, romance, romantic suspense but I find at this point in my life, I want to read books that leave me feeling good. I also think that's why I enjoy writing inspirational romance. Wonderful post! I admit I am always envious of the people who had family members who influenced their faith. For the most part, I have been the one to bring my family to church, and now that I am not at home, it has fallen to the wayside for all but my mom. The person who actually influenced me to come to faith was one of my middle school teachers. He was an amazing man who hosted a Prayer group each morning--which was way better than being stuck in the gym with everyone else--before school. He always taught us, not just a devotional or social hour. He was an amazing spiritual leader and a nationally recognized teacher. I still have a few of the papers he gave us tucked in my Bible. I used to have a mustard seed it brought us each back from Jerusalem taped to a bookmark, but time and use of my Bible has resulted in its loss. That man even came to my baptism. For all you teachers out there (and I was once because of him), you can make an eternal impact on your students. It may be a little harder with today's culture but it still happens. Thanks for sharing, Tracey. I hadn't realized you were sweet romance before the Christian market. I'm glad you've crossed over to the "bright" side, because your books are so enjoyable. Crystal, that story about your teacher is a book in and of itself. How absolutely beautiful that is, and to have a teacher leave that kind of lasting impression is a blessing in so many ways... and how cool that you give him this shout out. And that mustard seed. It's still with you. Maybe not physically, but we don't need the physical aspects. You have the fruit of that seed in your beautiful faith. Hi Tracey, I loved your post and reading more about your journey of faith! You are blessed to have grandparents who inspired you and left you a legacy of faith. I did not grow up in the church, but when I was in high school a friend invited me to Christian club called Campus Life. The first time I attended I heard a clear message about God's love for me and His calling to accept Jesus as my savior and follow Him. That really stirred my heart and I knew it was true. I prayed and accepted Jesus into my heart that night, and I have been following Him since then. Or maybe I should say He has been carrying me since then. I love reading my Bible and studying it with other friends. That has helped me grow in my faith. I'm blessed to be married to a godly man who has grown strong and wise in his faith and he encourages me each day. God is good! I love weaving some of the things He is teaching me into my books. So glad we met, Tracey! And I'm so glad we've stayed connected and can encourage each other on this journey of faith. Carrie, we had a Campus Life group here! I used to go to their meetings, it was wonderful! So much of what we carry with us begins in those high school years... And then blossoms as we grow up. Thanks, Carrie. You have been such a positive light in my life. Can't wait to catch up with you in person. Welcome to Seekerville, Tracey. Thanks for sharing with us today! Thank you, I'm so happy to be here! Thank you for this post. I have to say my grandparents also. They very strong in their faith and lived it out. They were also available to me after I made my decision for Christ, to answer my questions of faith. Much of my nonfiction writing is centered around things I learned from them. I loved that my grandfather joined his church later on in life. I think it set a really great example for his 13 grandchildren. I have to go with my grandmother as well. She was the finest Christian woman I know. We lived next door to her and growing up I spent every Saturday sitting on a stool in her kitchen watching her cook and talking to her. (She was also the best cook!) I named my daughter after her. I just finished A Changed Agent Sunday, so great timing on the book giveaway. Thanks for stopping by. I hope you enjoyed A Changed Agent. I so loved writing about my Adirondack Pinkertons. Linda, what a fun memory of your grandmother! I loved my grandmother, but she was old when I was born (nearly seventy) so there wasn't any of the normal fun stuff I've been able to do with my grandkids, but twenty years (especially then) was a huge difference. But she loved me... and had me over at her house regularly, and that was wonderful. My other grandmother died when I was a baby... I think that's why I love being a grandma, and taking time to have fun with the urchins! I was a lapsed Christian from my teens to my mid 30's. 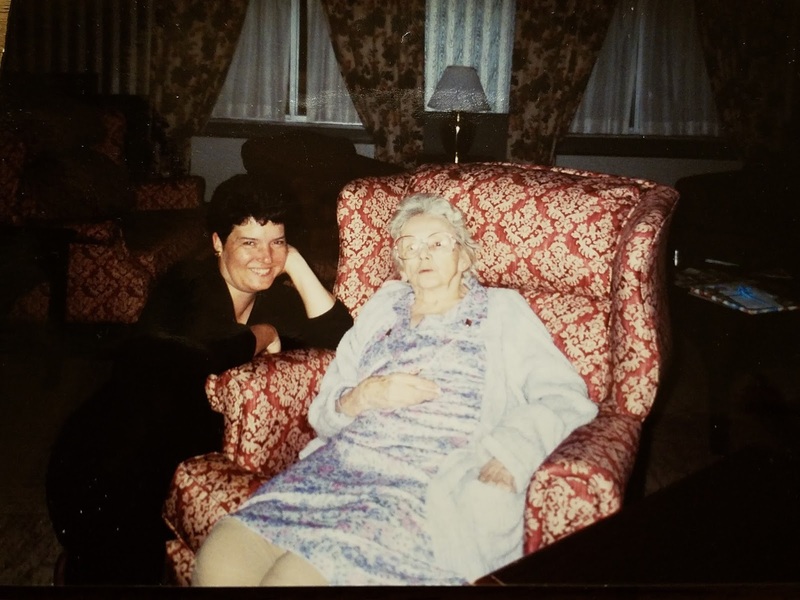 Bizarrely enough, the death of my mother from a long battle of cancer restored my faith. When she died, her face took on an expression that I can only describe as one of awe, like she had just seen the most beautiful incredible sight that could be imagined. I felt she saw heaven and that it was very real.My faith was instantly restored. The experience changed my life. Oh my word, Sharon. What a beautiful sharing. I expect you were right... the sight of heaven and that beautiful peace. I'm so glad you shared that, and I believe you when you say it changed your life. Thank you for stopping in... and huge thanks for sharing that with us. Sharon, what a wonderful story. Thank you so much for stopping by. I come from a long line of faith: Daddy is a preacher ,Granddaddy was a preacher, elders and deacons and strong women. But they just helped me gain the groundwork I needed for my stronger faith that has grown in the last years. And I am so grateful for the foundation they helped form. Amy, a line of preachers! Oh, there are stories embedded in that, my friend! I love that you're writing inspirational romance. I get so much satisfaction out of my work, my readers, their love and faith. I don't think it can get better than this, Amy. I mean that sincerely. You take that preaching heritage and weave it into heartfelt stories... that will bless so many unseen people. Hi Amy you are so right about your writing faith based stories. Now that I’m doing this I would find it hard to leave that out of a storyline. May paternal grandparents both were born in Norway, my grandfather came to this country at age 6 with his parents and sibling my grandmother came to this country alone at the age of 16 1/2. They both encourage me to be independent. She came across alone! My husband's grandmother did that. She and her 11 year old brother... She was 9... Great Grandma wouldn't come across, her husband was here and she sent these two kids... and asked a young couple to keep an eye on them as they CROSSED THE OCEAN!!!! Kim, this is awesome. From brave people of faith came a courageous, faithful granddaughter. I couldn’t imagine leaving everything I know to take on a new life. My grandfather was born on the ship while his family crossed over from Poland. What a beautiful post, Tracey! My grandmother came over from Switzerland to Utah in the early 1900s. She had a hard childhood as one of 16 children in a poor family. She came over with a couple of her sisters. She was very inspirational to me because of her faith and the way she raised her children, including my mother. My grandmother worked hard all her life, taking in boarders to make ends meet after my grandfather passed away. I love these stories of courage and taking charge of destiny. When I look back at what people were willing to do for religious freedom... and for a chance at a good life, improving their circumstances... I wonder if we've weakened ourselves too much. But we've gotten whiny over the past generation. Winnie, your words are a beautiful inspiration. You are so right, we were born of people of courage. I love that thought! Ruthy, I love that: "We were born of people of courage." Yes, that's true. I sometimes think we are so spoiled now--things that once were luxuries are now "necessities." I don't think you're whiny, Ruthy. You amaze me with all your energy and what you get done each day. You do what needs to be done, plus you go the extra mile. Thank you all so much for stopping by yesterday to share your stories of faith and inspiration and those who brought that to your life. Seekerville is one of THE best blogs and the authors here continue to bring us inspiration! Wow, your post arrived early this morning but I wanted to mention Pastor Don as the one who inspired my faith. When I first met him, I didn't like God very much and was still caught up in the occult. My first appointment with him I said, "But Pastor Don, I'm a good witch." He pointed out a few scriptures to me that implied there was no such thing as a good or a bad witch then said, "Tell me about your father." Thus began a two year journey of wrestling with God and father images until I finally came to realize that I needed a Savior.